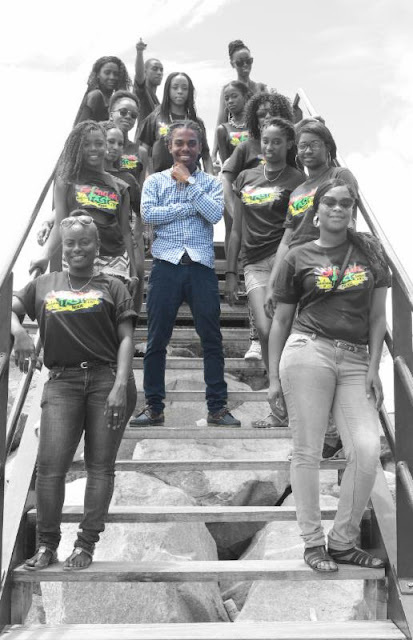 Rising reggae artist Jahmiel is staying busy while promoting his current single "Gain the World". With recent interviews on popular local media programs such as 'Onstage' 'Nightly Fix' and 'Weekend Smile'. Jahmiel currently gaining a momentum he is pleased with the feedback "The energy and press we are receiving so far surrounding the single is great. I thank the media houses, DJs, my team and selectors all over the world playing "Gain the World" says Jahmiel. Recently, performing in Montego Bay, Jamaica at Caribbean Girls - Carnival and Wata Party, despite technical difficulties, Jahmiel gave a solid performance leaving his fans pleased and requesting more. Immediately after his performance Jahmiel was off to Grenada for his scheduled performance at Grenada Fest. Grenada Fest is an annual event celebrating music, Caribbean culture and always highlighting an international act from outside of Grenada. Performing alongside Grenadian acts Tall Pree, Mr Killa, Jab King and many more Jahmiel was happy for the opportunity to spread his music with hopes to inspire others while in Grenada. "My main focus is to give the Grenadian massive a great show and inspire them through my music, while at the same time, gaining new fans," Jahmiel said. Jahmiel is currently back on the island of Jamaica as he gears up for his Canadian promotional tour and working with top producer KickRaux. With so much in store Jahmiel is taking everything in stride and staying focus on giving his fans good music.